Yup, I finally did it! Learning this pose was definitely not easy. I allotted five to ten minutes of practice (almost) every day for two weeks and even developed red spots on my face four days to my practice. I panicked for a while, searched the net, and found out that this is normal for beginners trying to do headstands (whew!). This can be remedied by breathing properly while doing the pose. I used to do the pose with the wall behind me as a safety net in case I fall. But after several more days of practice and after a ton of pep talk I gave myself, I mustered all my courage and tried doing it without the wall, and I survived! 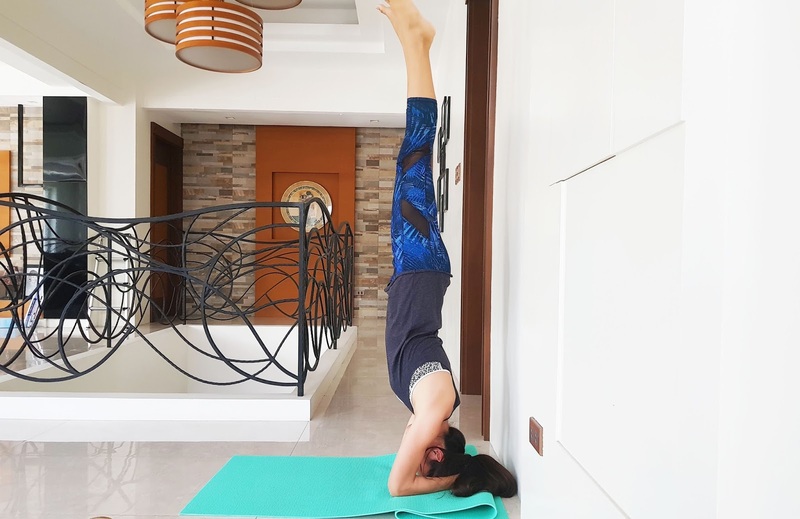 My headstand is far from perfect, and I still get out of balance from time to time. But it makes me happy knowing that I can achieve anything if I put my heart and mind to it.